The classroom goes outside in our awesome kayaking adventures around Newquay’s beautiful coastline. Designed especially for schools, they go big on action and even bigger on education. From mastering kayaking techniques and discovering secret caves to spotting and identifying wildlife, it’s a packed two-hours bursting with hands on learning experiences. As soon as you arrive at Newquay Activity Centre the fun begins. We’ll kick things off by getting everyone warmed up and full of beach safety knowhow, then it’s time to learn the basic kayaking strokes, ocean knowledge and equipment upskilling before hitting the coastline for an exhilarating exploration. With a huge focus on safety we’ll paddle into dramatic caves, caverns and coves and bring history to life as we tell stories of Cornwall’s dramatic past. As heads fill with tales of smuggling, piracy and shipwrecks, there will be different paddle techniques to master and waves to negotiate, as well as games and challenges to up the fun factor. We’ll also keep eyes peeled for wildlife, identify birds and marine life and share tips on looking after the ocean. An action-packed, eco adventure that will build confidence in the water, teach sea safety and give pupils a feel-fab boost. 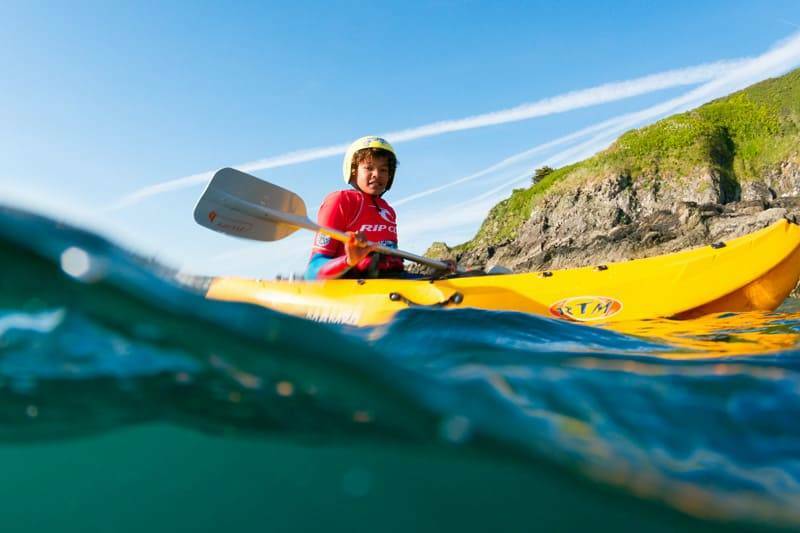 Under the guidance and tuition of some of the most qualified, experienced and insured instructors in the country, adventures with Newquay Activity Centre are all about practical learning and exploring our coastlines up close. With us, pupils are encouraged to push their boundaries whilst safe in a supportive environment. Your pupils couldn’t be in more experienced or safer hands when kayaking in Newquay. Our kayaking lessons in Newquay for schools are arranged to suit your group size and budget and can form part of a full week of activities. Simply give us a call and our experienced bookings team will build the perfect outdoor education package for your school group.